Precuts are fun to work with! Watch this video for some quick tips to make them even easier! 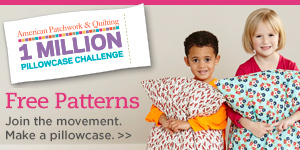 Get patterns using fat quarters here. 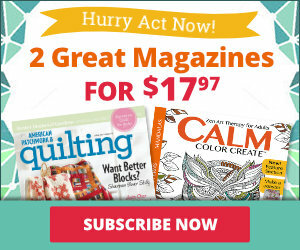 Get patterns using precut strips here. Get patterns using charm squares here. 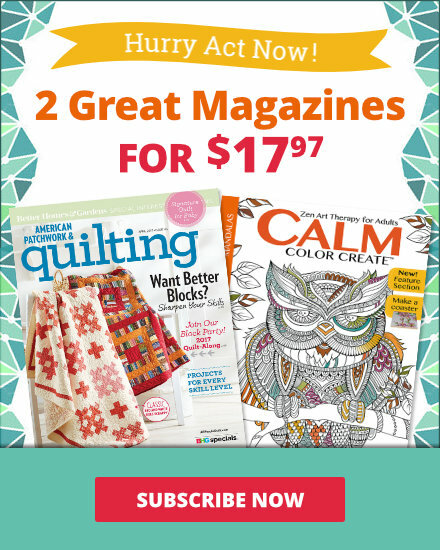 Get patterns using precut squares here. Get patterns using fat eighths here. Hi! 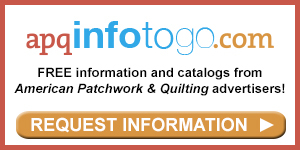 I'm Linda Augsburg, Executive Editor of American Patchwork & Quilting and I'm here to talk about precuts. Typically, when you see bundles of fat quarters and fat eighths, you'll notice that it's one of each fabric from a collection, so the numbers of pieces in each bundle can vary a little bit. Now, one of the first precuts that were offered was a 2.5" strip. And these strips are great for so many uses and there are typically 40-42 strips in a bundle and they can be used for piecing and they can also be used for binding because they are 2.5" wide. In addition, there are other sizes of strip sets, there are 1.5" strip sets and even 5" and 6" strip sets as well. And again, check on those 5" and 6", sometimes the number of strips vary, so you'll need to pay attention to that as you're purchasing. Squares are another great popular precut that are offered. The 5" square was one of the first and then 2.5" charm squares came out, little bitty ones. And then also the 10" square and sometimes these are flat and sometimes rolled. You'll notice as we're going through that most of the strips and squares are cut with a pinked edge, which is a little zig zag edge and we'll talk a little more about how to work with those. Also, some new shapes have come onto the scene, so you'll see some hexagons, some triangles, those types of shapes and as patterns start getting more popular and written for typical sizes, you'll see more and more of those come out. So now let's talk about some of the tips to make working with precuts easier. First of all, the don'ts. Don't wash your fabric ahead of time, no prewashing on these. You'll run into some raveling and you'll lose some size and that will really throw off your pattern. Also, you don't want to trim them, those pinked edges are there to keep things from raveling, but you don't want to trim, you'll lose too much of the size of the pieces. And then, of course, if you fall in love with a bundle and want to look at it a long time just the way it is, you might want to buy a second one. Or at least wait to open your bundle pack until you're ready to sew with it. You want to try and keep those together because you're looking at one collection at that point and a lot of us like to work with one collection that already matches. Now, for some of the things to remember. When you open something like a strip set, run your lint roller over that cut edge, it's really going to help alleviate the lint as you're working on your project. In addition, because sometimes I'm sewing in little short increments of time, when I'm working with precuts, I want to make sure I have a satin robe or something like that in my sewing room that I can just slip on over whatever I'm wearing, sew a few seams of my precut project, and then slip that robe off, all the lint is on the floor and not on my outfit. In addition, you're going to sew using the outermost edge or that peak of the pinked edge as your seam allowance. You don't want to try to line up the valleys as your seam allowance, that will get a little too shy in your seam allowance and your pieces may not fit together. So that outside edge is what you're lining up on your quarter inch foot. For some of the pieces that are rolled, you want to make sure you iron those pieces before you start sewing. And if you need to use a little steam, sometimes that can relax those fibers and really make putting it together a little easier. Of course, those 2.5" strips can be used for binding, but you also can use your scraps from your 2.5", and remember, you have a 5" square and a 10" square so those pieces can also be trimmed in ways to use as binding as well, into 2.5" strips. So really, you can mix and match these shapes because the math works that way. I hope these tips help you on your next precut project. Precuts are so easy to work with since they are already cut and ready to go, that you can just start sewing right away. So let's get sewing!